Silloth is a pretty, unpsoilt English seaside town in the North West of the county. It has a wonderful, extensive town green right in the centre, with children's water play area and a great selection of independent shops. The long promenade provides a good walk with views of the majestic Solway Firth and across the water to Scotland. Silloth borders the Solway Coast Area of Outstanding Natural Beauty and the town has an AONB Discovery Centre, which is a great way to find out about the seabirds, wild flowers, special landscapes and heritage of the area. The natural indentation of the Solway Firth also influenced the building of Hadrian’s Wall in AD 122. The flatness of the landscape means this is a good place ro cycle and there are a good number of quiet roads toenable trouble free cycling. The National route 72 - Hadrian's Cycvleway passes through the town and you can obtain a free pack of cycle routes from the Discovery Centre. There is a good selection of accommodation in Silloth from hotels to the highly rated Stanwix Holiday Park. For entertainment, the town has an extensive festival and events programme which includes it's famous beer festival and vintage rally. 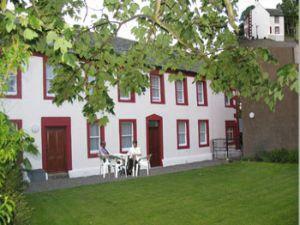 Silloth and the surrounding area offer many attractions which cater for all ages and interests. Check out what you can plan for your individual or family retreat. There are a variety of events taking place in Silloth and the surrounding areas over the year. Why dont you check out the calendar and see what's on while you're here? The Solway Coast Area of Outstanding Natural Beauty, stretching from Rockcliffe to Maryport was designated in December 1964 in recognition of the quality of its landscape and its significant historic and scientific interest. Allonby enjoys some beautiful far-reaching views over to Scotland and the Isle of Man. Its sand and shingle beach follows the edge of a wide crescent-shaped bay that is ideal for windsurfing and kite surfing. The coastal village of Bowness on Solway is charming mix of pretty traditional Cumbrian cottages, house and farms, hugging the shoreline of the Solway Firth - part of the Solway Coast Area of Outstanding Beauty. At its height, the Roman Empire stretched from Africa to the Scottish borders, with the northern frontier demarcated by the building of Hadrian's Wall between Tynemouth and the Solway. The large fort of Maia at Bowness-on-Solway was at the westernmost end of the Wall, guarding the crossings over the Solway, with a series of forts and milefortlets every Roman mile down the coast to Ravenglass. Hardly anything remains of the Wall or its supporting forts in the Solway area as much of the stone was re-used in later buildings. Since the Roman invasion the area has witnessed the ebb and flow of new settlers and influences, all of which have left their mark on the landscape. Norman influence came primarily with the building of Holm Cultram Abbey and a number of churches and castles at Beaumont and Burgh-by-Sands, both now demolished. The Abbey owned extensive lands and property around the Solway and had a port at Skinburness from which they exported wool. Edward I based his naval vessels at Skinburness to supply troops and provisions prior to his assault on Scotland. Edward's attempts to claim supremacy over Scotland resulted in a series of uprisings throughout the border lands. This lawlessness continued up to the 17th century in the shape of reiving - the stealing of livestock and goods practised by raiding parties from both England and Scotland. During this time, several fortified buildings were erected to defend inhabitants against Scottish raids. Sometimes churches were built with defensive towers (as at Burgh-by-Sands and Newton Arlosh) to provide a place of refuge; elsewhere pele towers and fortified houses, such as at Drumburgh Castle were erected. Smuggling was rife along the Solway coast, with goods such as spirits, tobacco and fine textiles regularly smuggled in from Scotland, Ireland and the Isle of Man. Wool, by contrast, was smuggled out of the county. Transport was the key to the area's fortunes and decline. The need to link Carlisle with the sea prompted the building of a canal in 1823 from Port Carlisle to the city. By 1854 the canal had been filled in and a railway built in its place, which extended westwards to a new port and docks at Silloth. This was the heyday of prosperity for Silloth. Today, Silloth retains an air of Victorian leisure and is a popular destination for its mild climate, recreational facilities and spectacular sunsets. In 1626 the bells of St Michael’s Church at Bowness were stolen by Scottish raiders who jettisoned them in the Solway whilst being pursued back to Scotland. Bowness villagers retaliated by taking the bells from Dornock and Middlebie churches in Dumfriesshire, where they are kept at the rear of the church to this day. Smuggling was rife along the Solway coast, with goods such as spirits, tobacco and fine textiles regularly smuggled in from Scotland, Ireland and the Isle of Man. Wool, by contrast, was smuggled out of the county to avoid high export duties. St Cuthbert’s Church at Holme St Cuthbert (NY 104 472) contains the stone torso of an armour-clad warrior, fancifully believed to represent Robert the Bruce. It was discovered by a group of boys who overturned a drinking trough at nearby Goodyhills to reveal the carving on the underside. Holm Cultram Abbey is the resting place of Robert the Bruce’s father, who was buried here in 1294, but this did not stop Robert the Bruce himself sacking the abbey in 1319 in an act of rebellion against English attempts to rule Scotland. Sea-washed turf from Burgh Marsh was once highly prized and used on bowling greens, football and cricket pitches throughout the country, including Wimbledon and the old Wembley Stadium. Wolsty Castle to the south of Silloth (now a moated site) was built by the monks of Holm Cultram Abbey as a stronghold repository for their ‘books, charters and evidences against the sudden invasion of the Scottish’. One of the chambers was named after Michael Scot (c. 1175–1235), a wizard who housed his books of spells in the castle.